100 Medium Replacement squeakers, each squeaker is 1 3/4 inches in diameter. Perfect for crafts, making dog or baby toys. Excellent squeakers to repair old dog toys, children's toys, teddy bears, etc. These offer a nice loud squeak. 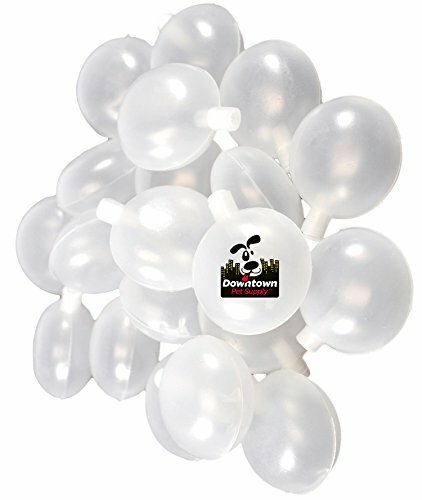 These are professional packaged with the Downtown Pet Supply Trademarked Logo on each package.